Composed by George Frideric Handel, Traditional Basque Carol, Traditional French Carol, Traditional Round. 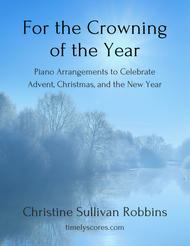 Arranged by Christine Sullivan Robbins. Christian, Sacred, General Worship, Christmas, Recital. Score. 28 pages. Published by Christine Sullivan Robbins (S0.294139). 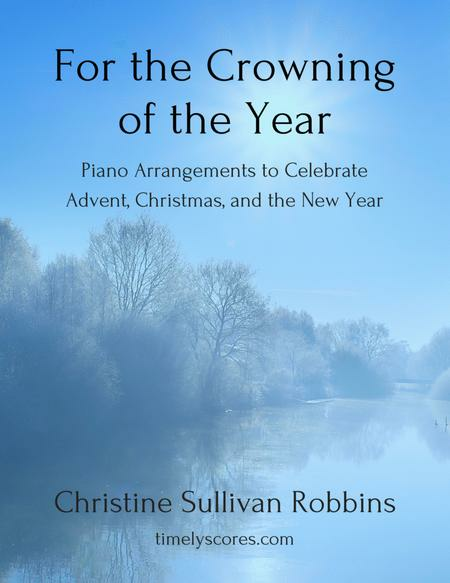 Five familiar tunes for Advent, Christmas, and New Year's get fresh treatments in this collection of useful piano arrangements. Each arrangement is available individually on Sheet Music Plus but, if you purchase this set, you'll save 20% over the cost of buying these five pieces individually! With the exception of the show-stopping Joy to the World for unto Us a Child Is Born, these works are quick-to-prepare for church services and recitals - perfect for the busy holiday season!